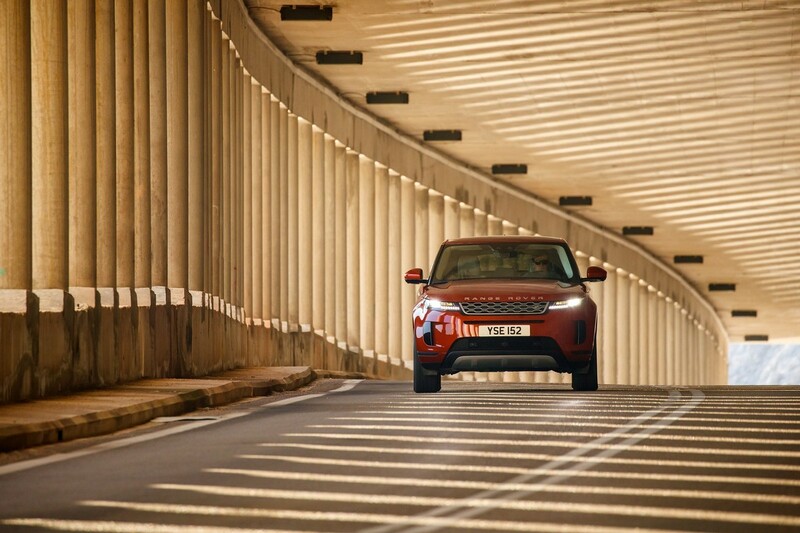 The second-generation Range Rover Evoque sets out to conquer the premium small SUV segment. 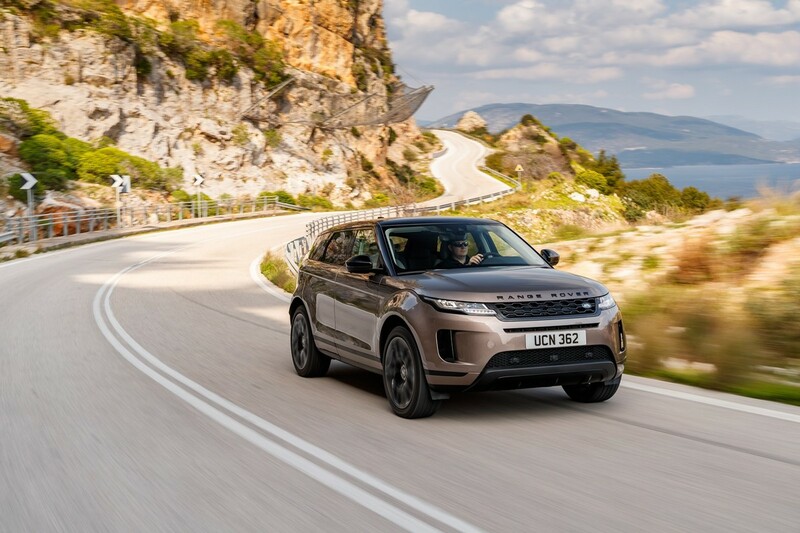 With a sleeker design (though only a five-door), the Evoque oozes kerbside appeal, but its Land Rover DNA means that it’s one of the most capable cars in its class when it comes to the rough stuff off-road. 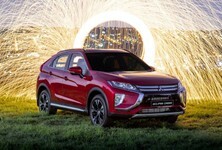 International correspondent Dave Humphreys attended the global launch and reports back. 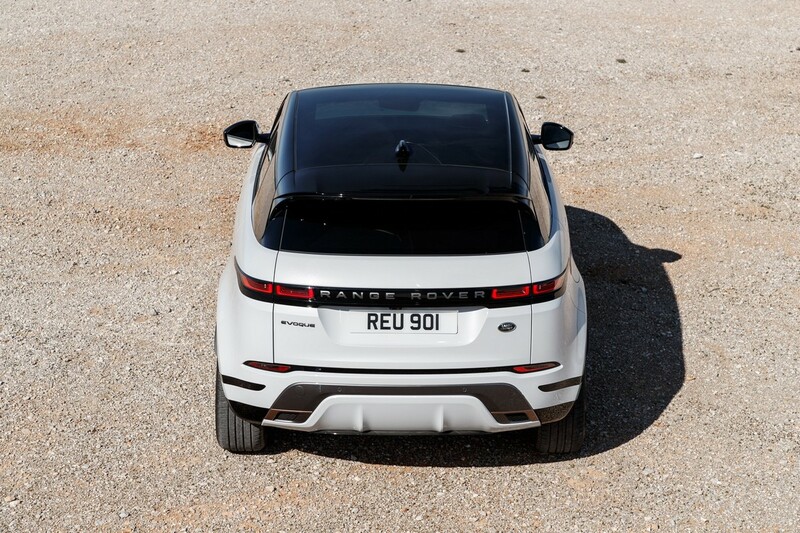 The Evoque will now only come in a 5-door model. 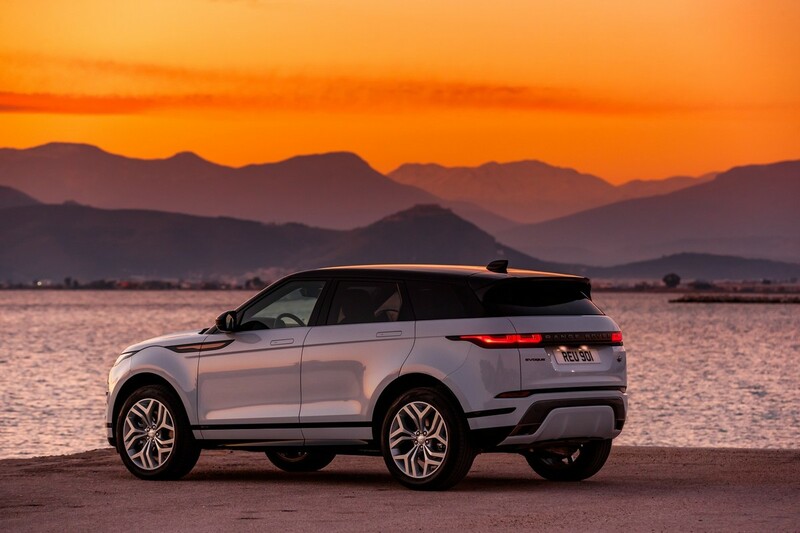 Those looks draw heavily on the larger Range Rover Velar, and once you look a little closer you’ll see that quite a lot has changed. 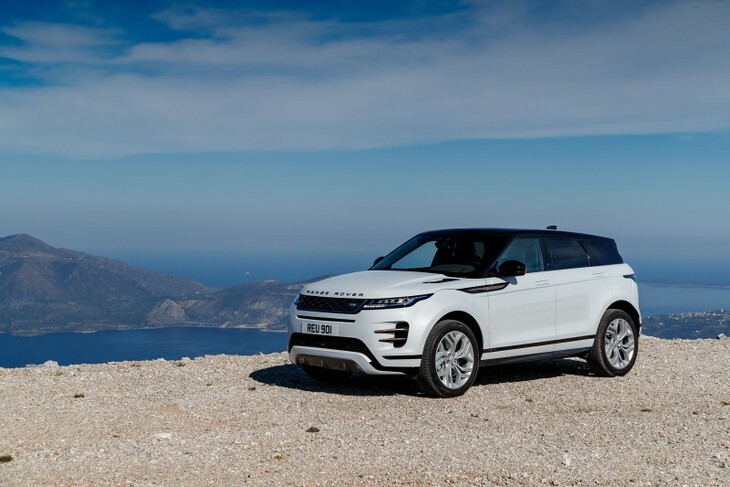 Apparently, the door hinges are the only carry-over part from the first Evoque, and this time around, Land Rover plans to offer only a five-door version. 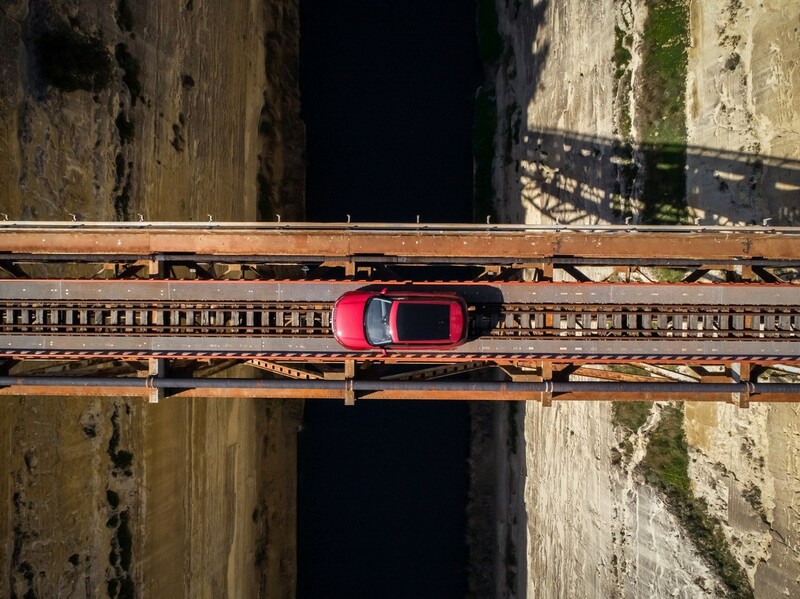 It measures in just 1 millimetre longer than its predecessor but gains a longer wheelbase thanks to it being built on a new platform. That results in better space inside, where rear passengers will enjoy 20 millimetres more knee room. 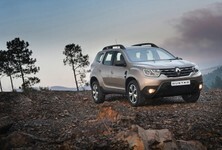 Cargo capacity is also slightly better, with 591 litres of boot space and the rear seats can fold in a 40:20:40 split. 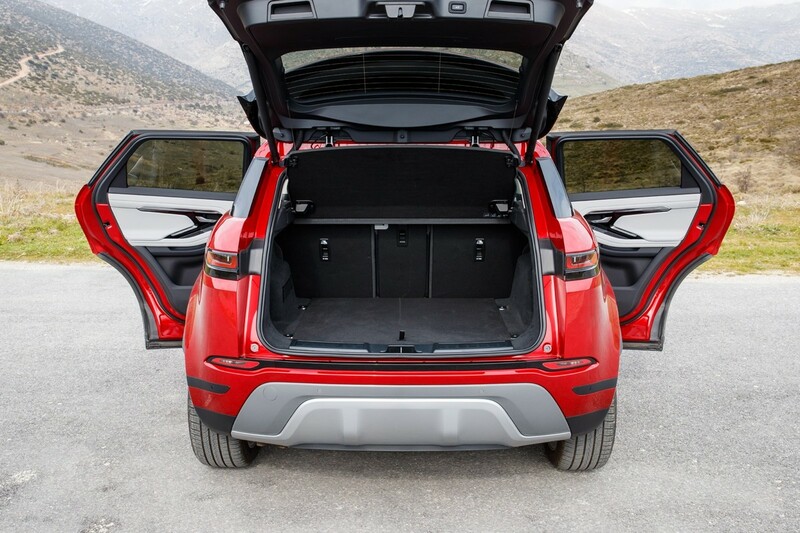 A big boot is now available with as much as 591 litres of space before you fold down the seats. 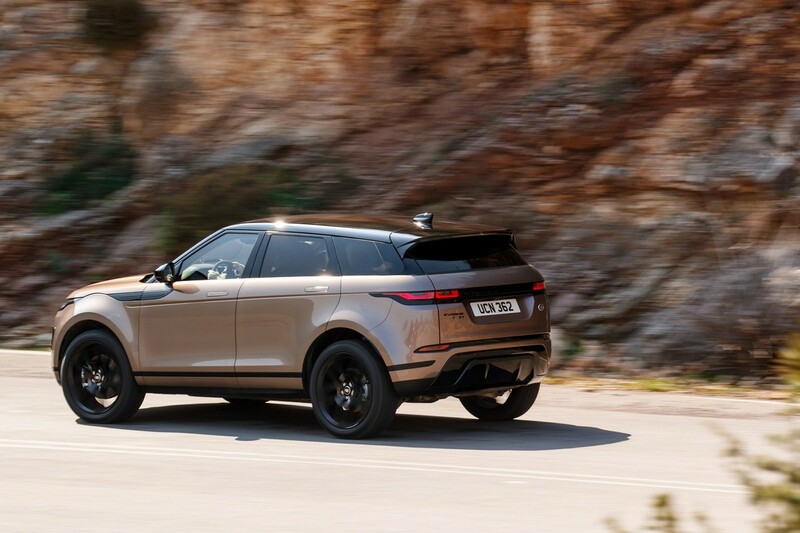 The plastic cladding on the sills and wheel arches is gone, and the Evoque’s sleeker image is helped by snazzy new door handles that retract to sit flush with the bodywork when the car is locked. 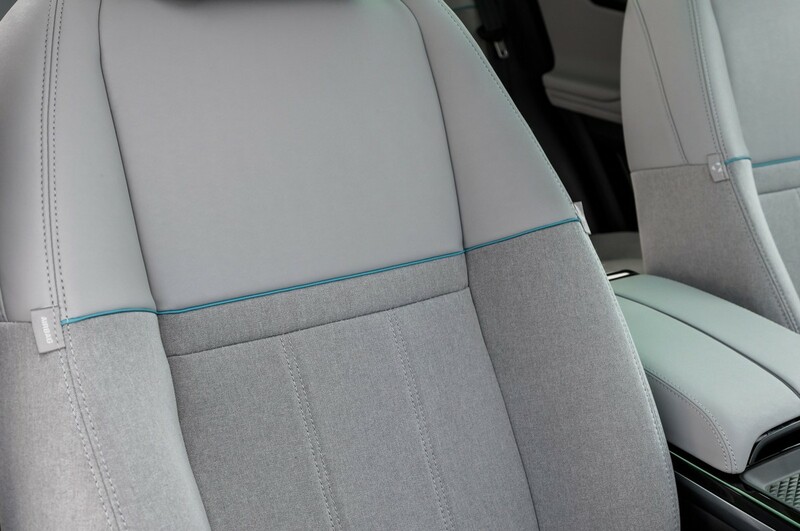 More significant changes occur inside where the quality is high and, depending on specification grade, comes with an almost button-free design. Spending extra on the SE specification gets you the Touch Pro Duo setup for the centre console. 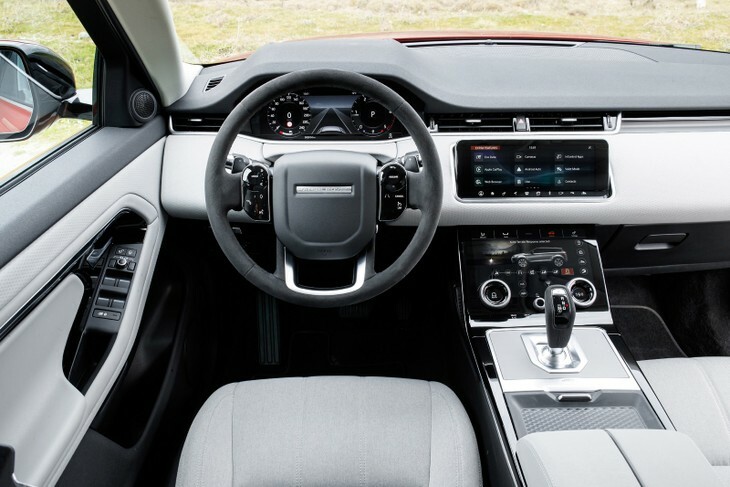 It consists of two 10-inch touchscreen displays, the top one titling outwards from the dashboard upon start-up. 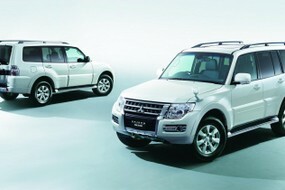 Below that are the functions for climate control and drive settings. 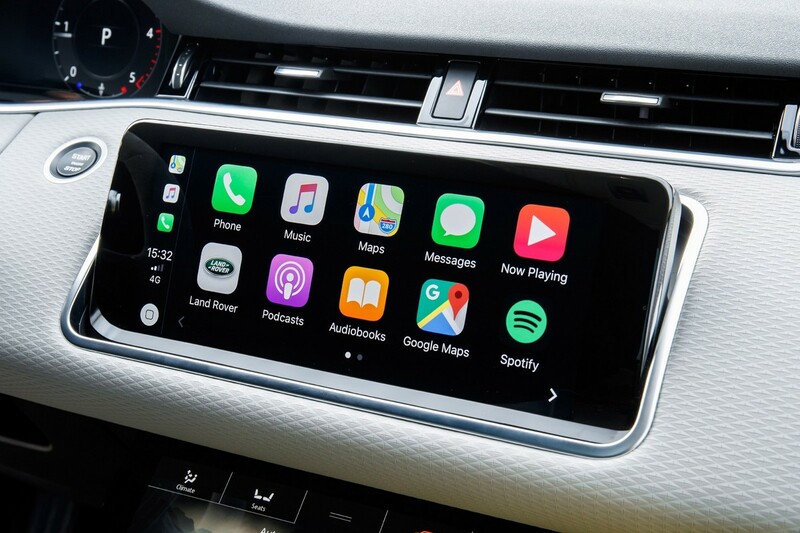 At this grade, buyers also get a 12.3-inch digital instrument display. The cabin is well insulated and NVH levels have been improved. 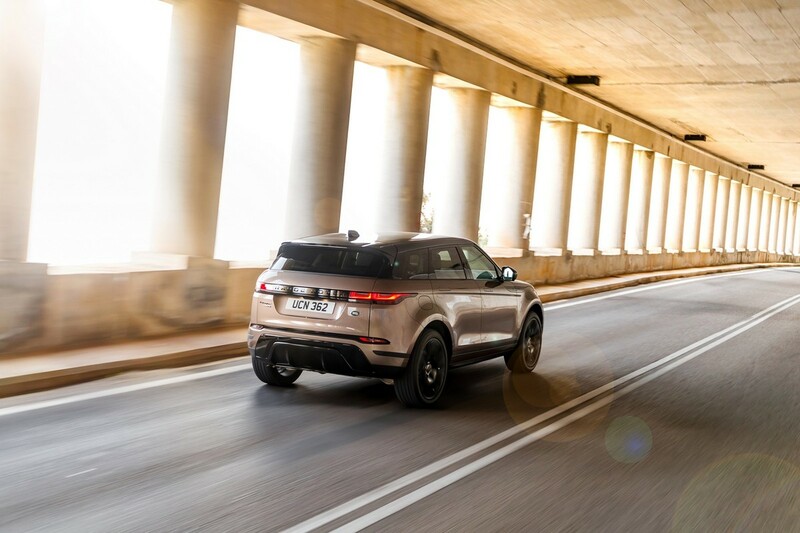 We spent quite some time behind the wheel of the new Evoque and drove on a variety of different surfaces, revealing a cabin that is much quieter than its predecessor’s. 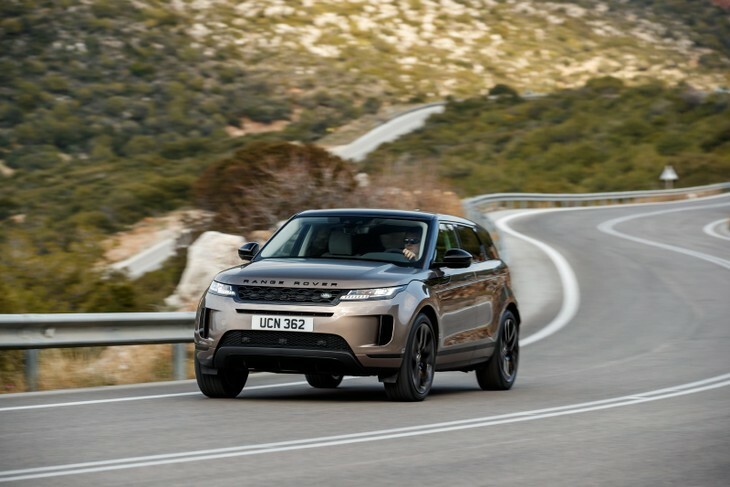 Both engine and road noise are reduced and other than some wind noise picking up around the door mirrors at higher speeds the baby Range Rover seems as good as any of its premium German rivals. 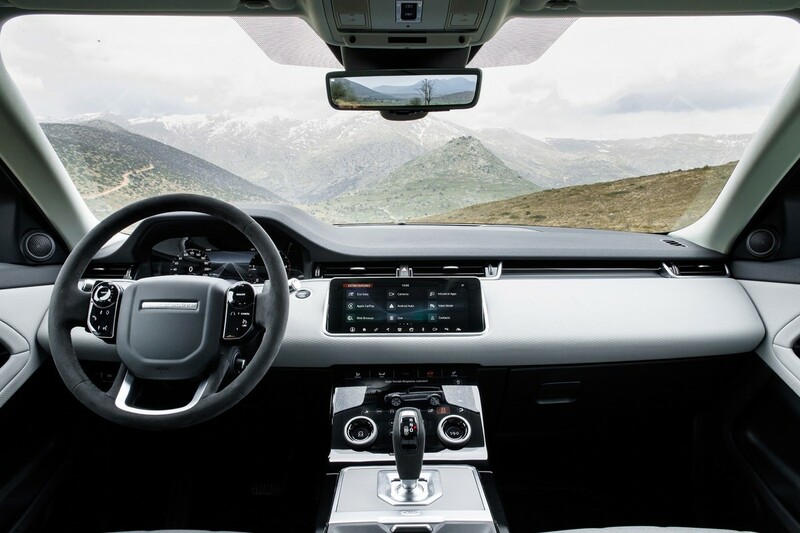 Along with the added refinement, the new Evoque offers there is a wide range of new in-car features and assistance systems to keep tech fans happy. One such item is the Clear Sight rear view mirror. Initially, it doesn’t look any different, but flicking the tab at the bottom switches to a wide camera view from a high-resolution camera mounted in the shark fin antenna on the car’s roof. 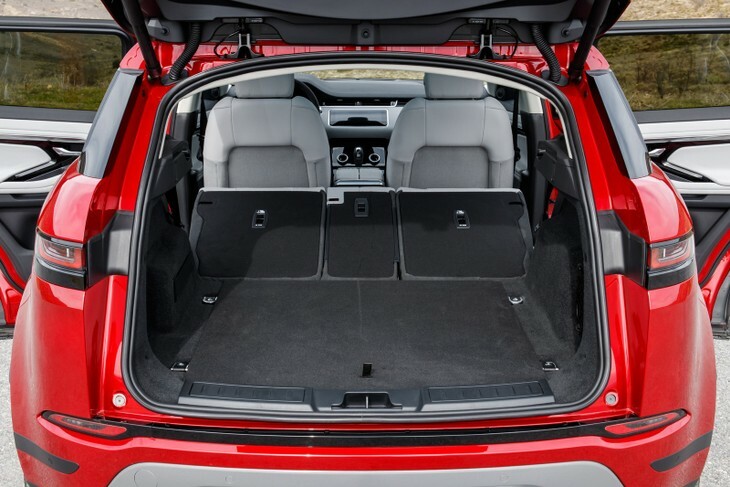 Offering a full, unobstructed view, it works well at night and is particularly useful if you regularly have adults sitting in the back seats that would otherwise obstruct your view out. Another camera-based system is the Ground View feature. 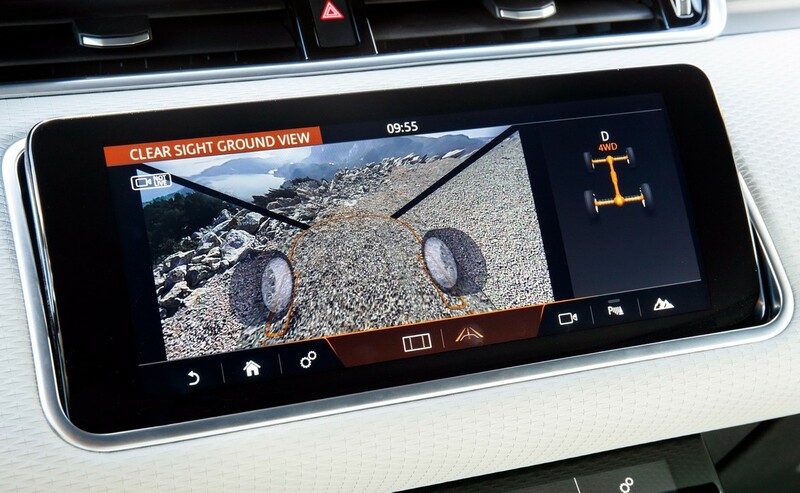 Ideal when you need to drive into a narrow car park with high kerbs, this takes the front-facing camera and tweaks the image to show you exactly where the front wheels are in relation to the surroundings, as if you’re looking through a transparent engine bay. 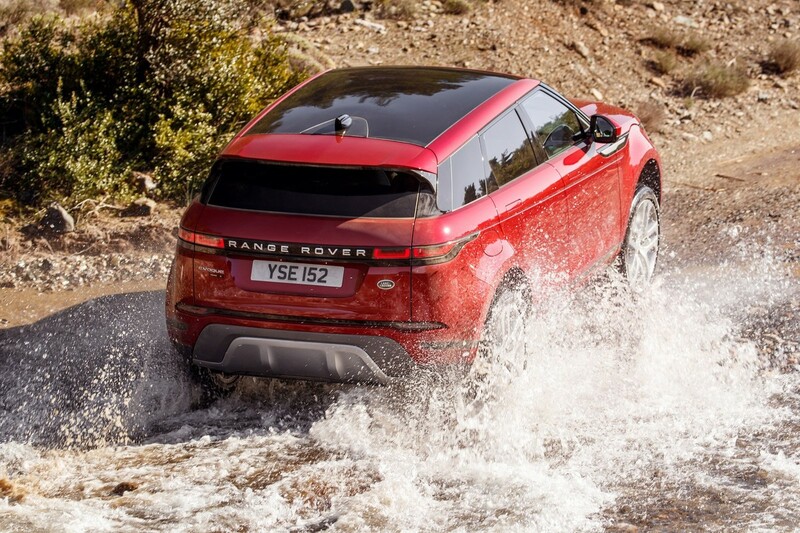 Even though most owners will never venture beyond a dirt panhandle, the Evoque has best in class off-road abilities. 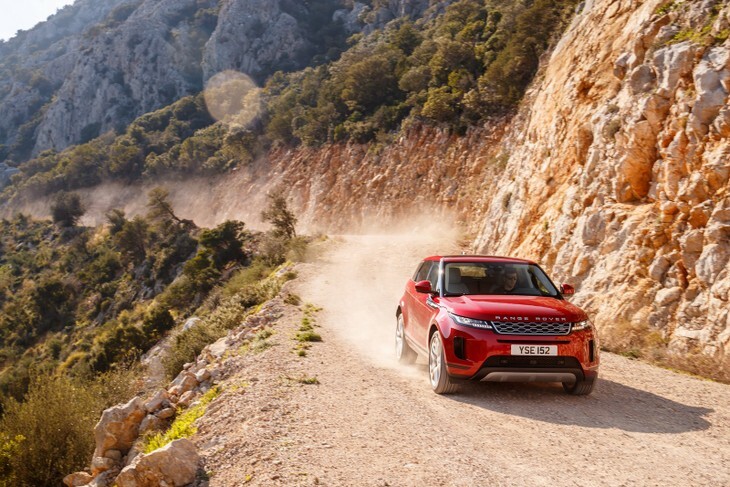 Most Evoques come with a passive suspension setup that delivers a high level of comfort even on 20-inch wheels. 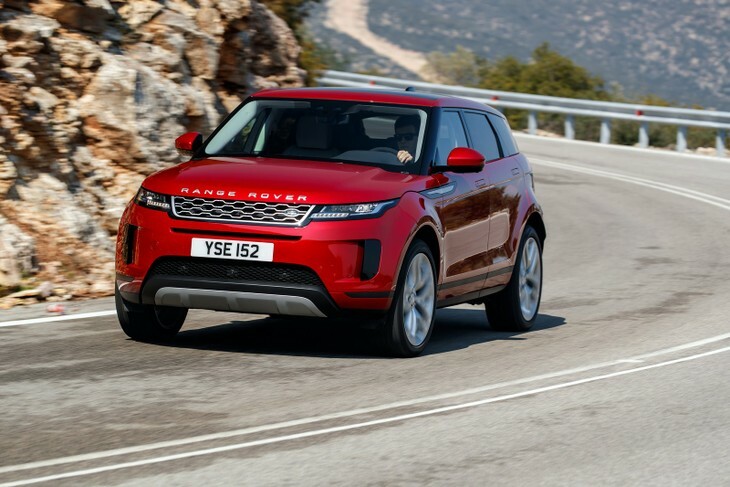 Should you opt for the 21-inch rims, then Land Rover’s adaptive suspension is included, but having driven both versions back to back, we don’t think you’re missing out by sticking with the standard suspension. One of the reasons that the Evoque now drives better is due to a new chassis with an aluminium front subframe that is three times stiffer. 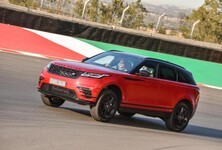 To that, new suspension components are attached, which are between 11- and 16 per cent softer than before. 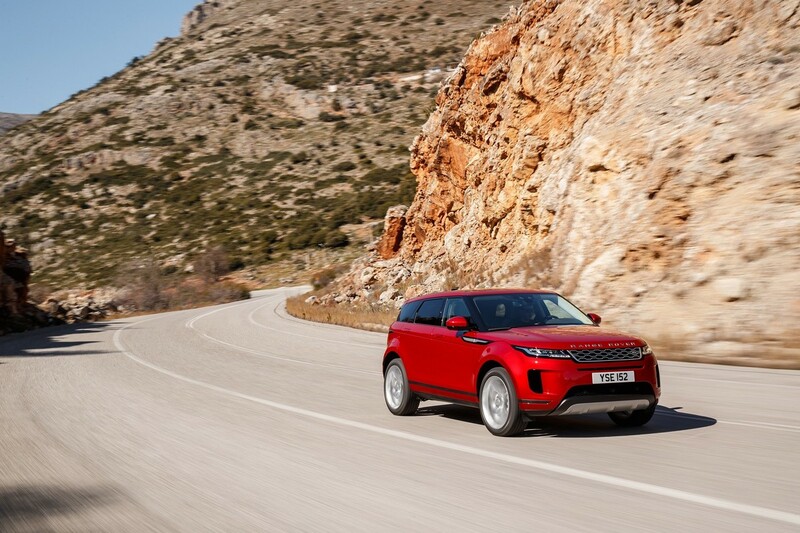 The result is that rough surfaces aren’t transmitted through the cabin nearly as much and the suspension does a better job of absorbing the bigger bumps like potholes and speed humps. 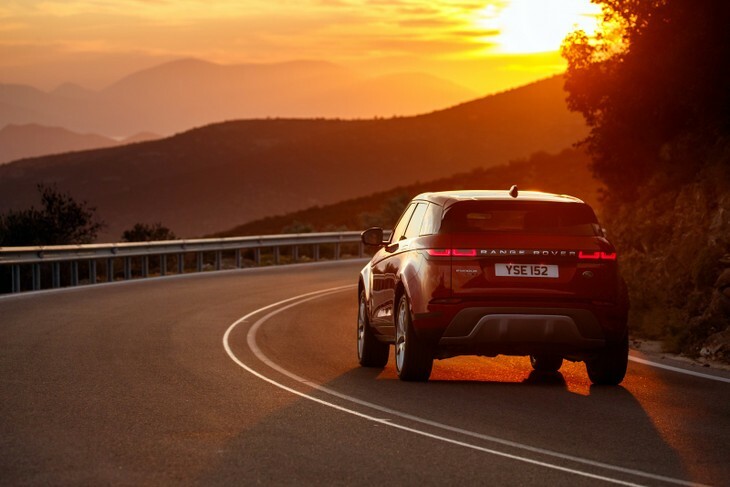 If you’re keen on a sportier drive then a BMW X2 may serve you better, but the Evoque is happy to be hustled along by any measure. 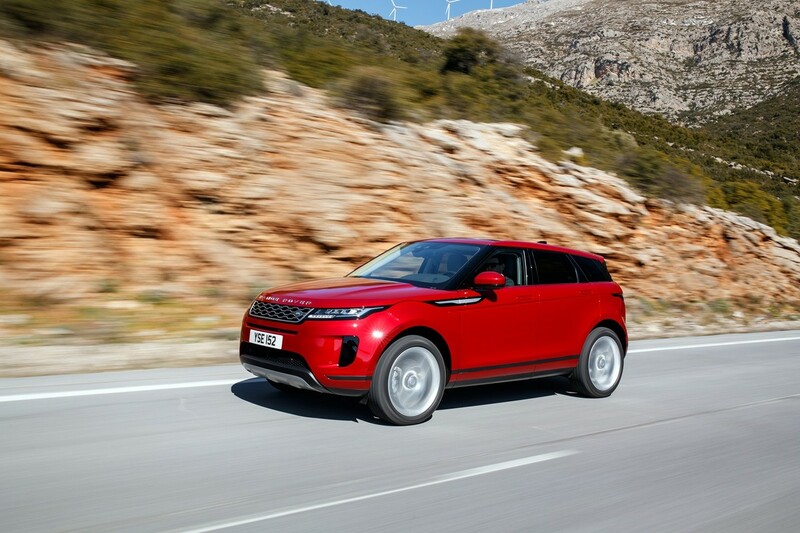 At launch, the new Evoque will be available with the choice of 1 petrol and 1 diesel engine. 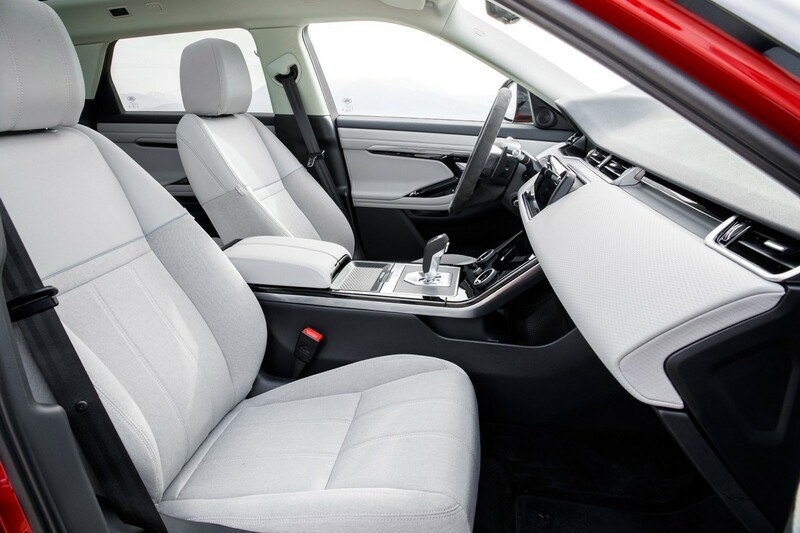 The mild hybrid system uses a belt-integrated starter generator that recovers energy when you lift off the throttle and replenishes the lithium-ion battery – mounted beneath the front passenger seat. Where you notice the benefit of such a setup is as you roll up to a stop, as the engine can shut off from 17 kph. The restart is also smoother than more conventional start-stop systems. 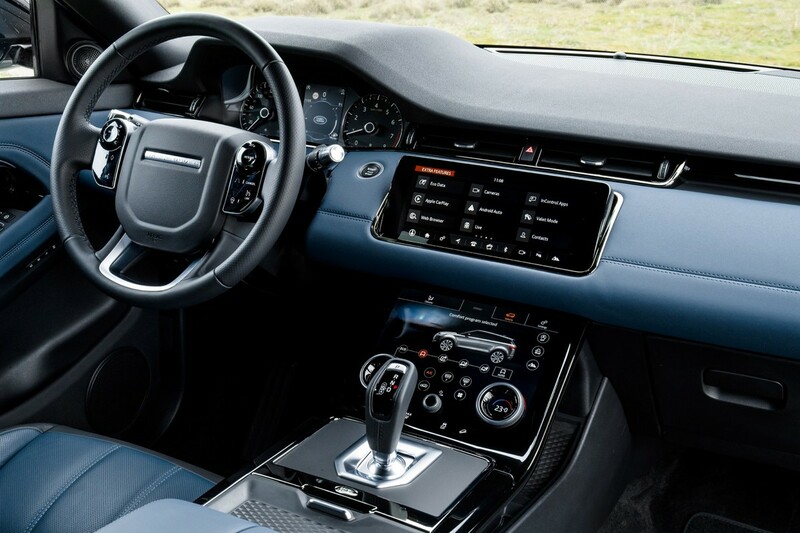 Driving the Evoque in a city is mostly hassle-free thanks to the nine-speed automatic transmission. 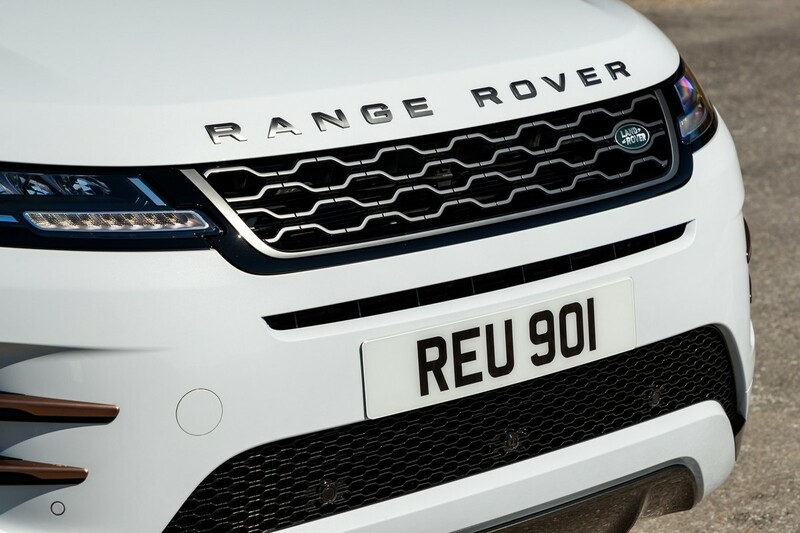 It shifts up and down gears smoothly, keeping the engine within its optimum operating window. 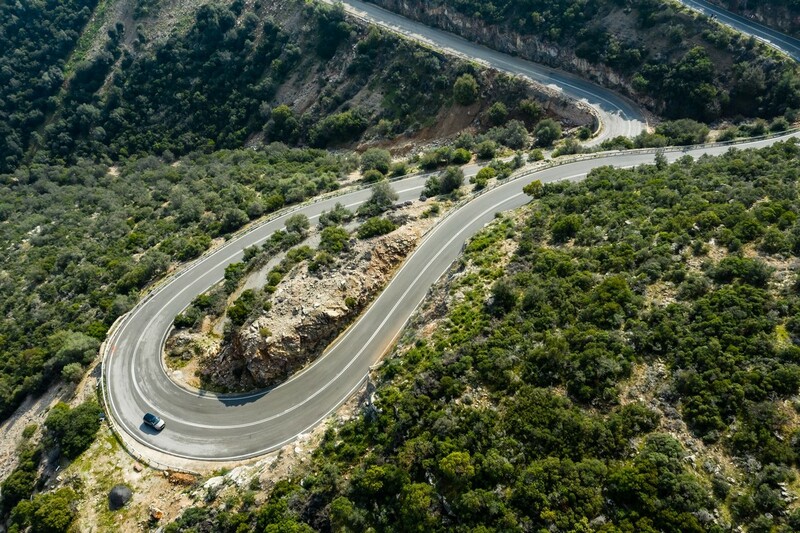 However, out on more open stretches, there are times when the automatic transmission can seem a little hesitant, namely when going for a quick overtake. While the Evoque is equipped with all-wheel drive, for the most part, it only sends power to the front wheels until it detects any loss of grip, in which case it seamlessly switches to all-wheel-drive mode. 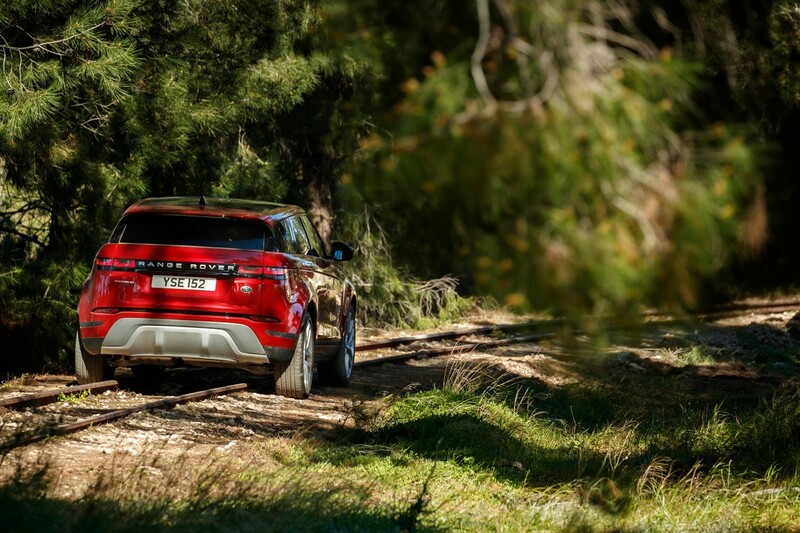 With Land Rover’s Terrain Response 2 system the Evoque can take on more severe off-road conditions, helped by its 212 mm of ground clearance. 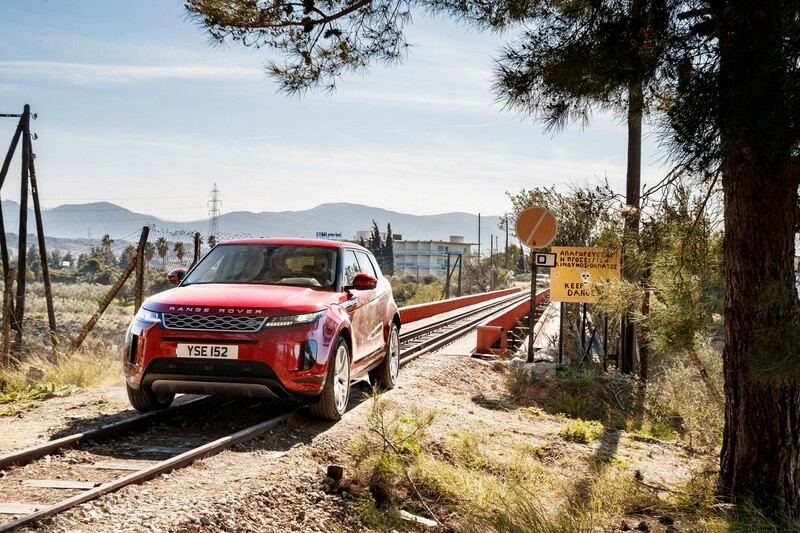 Decent approach and departure angles mean that you’re unlikely to leave a bumper behind along the way. 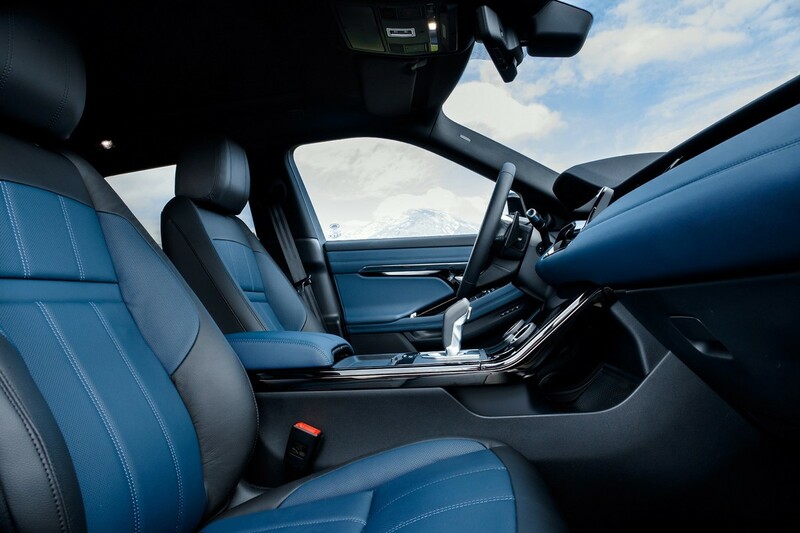 There's a lot of Velar in the interior, which is probably a good thing. 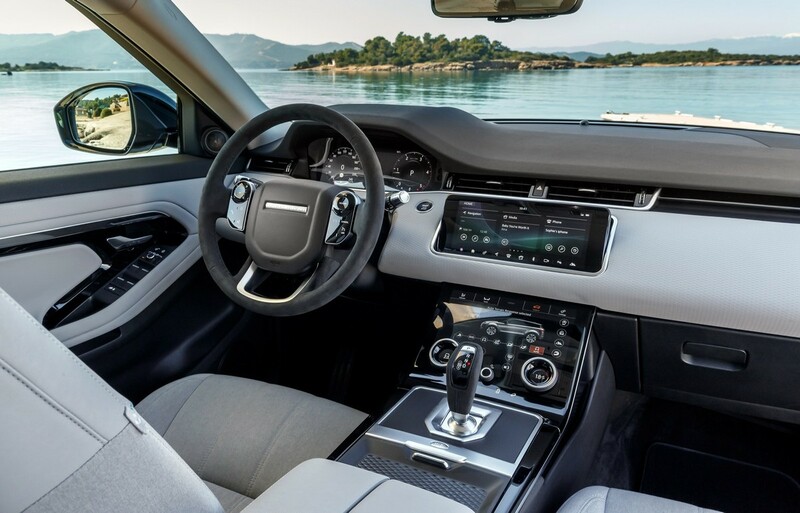 Even with the introduction of a mild hybrid system to help alleviate the load on the engine, fuel consumption during our time with the car was quite a way wide of Land Rover’s official figures. 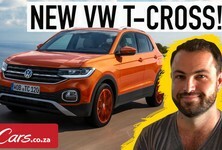 We experienced a similar result when driving the higher-powered diesel variant (though the South African market will only get the 132 kW D 180 diesel at launch). The new Evoque ticks all the boxes for a modern premium SUV buyer. 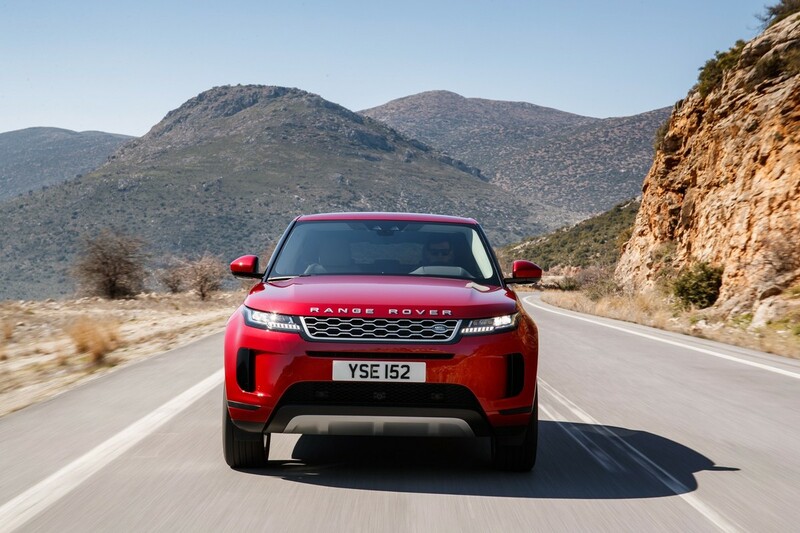 With head-turning looks and an interior that is befitting of the Range Rover name, the new Evoque has all the right ingredients to make it another hit. 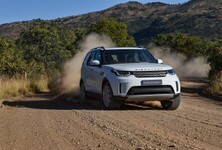 Even those who aren’t concerned about its off-road abilities might be interested in its new in-car tech options. 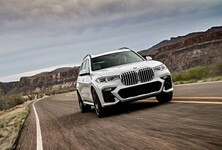 Either way, this is now one of the more refined small SUVs on the market today. 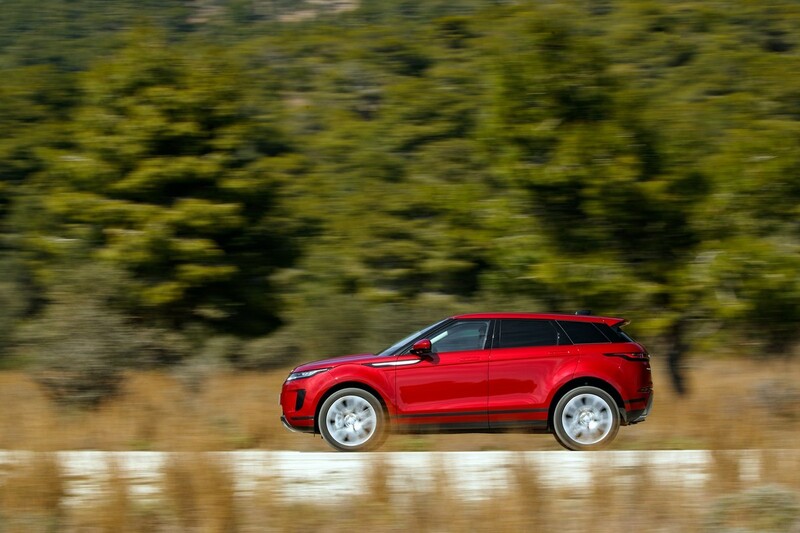 The Evoque range starts at R734 300. 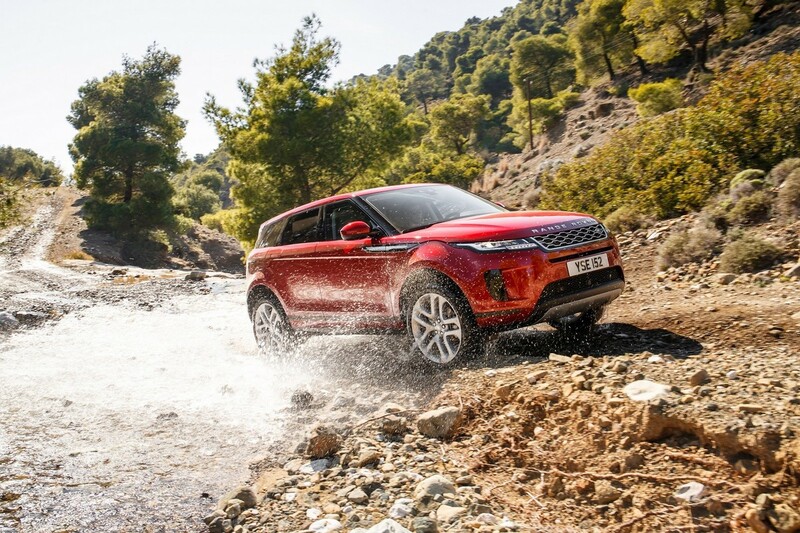 Land Rover offers a 3-year/100 000 km warranty alongside a 5-year/100 000 km service plan. 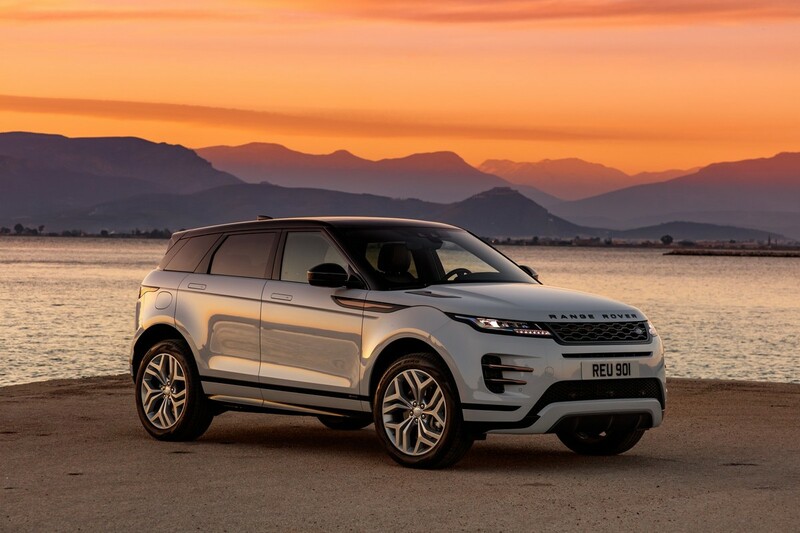 Land Rover plans to introduce the new Evoque into SA during the second week of May 2019.